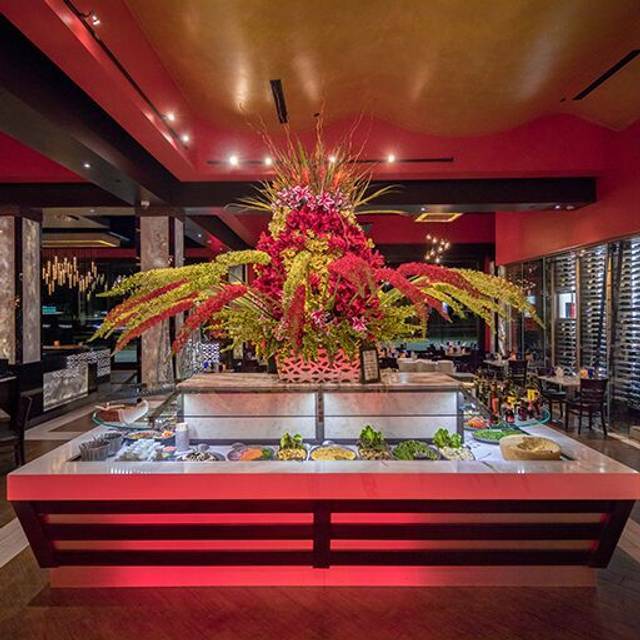 Short Pump Town Center, Lauderdale Dr. & Broad St.
Texas de Brazil Richmond features two private dining rooms. The Brazil room seats up to 65 guests and the Texas room can accommodate 45 guests comfortably. Almost Too Beautiful to Eat: To conclude your dining experience, treat yourself to one of our delectable desserts*. Great waitress ..good was very yum and came fast no long waiting for food. Happy hour prices are great. Omar our server was a Rock Star!! The wait staff is impeccable. 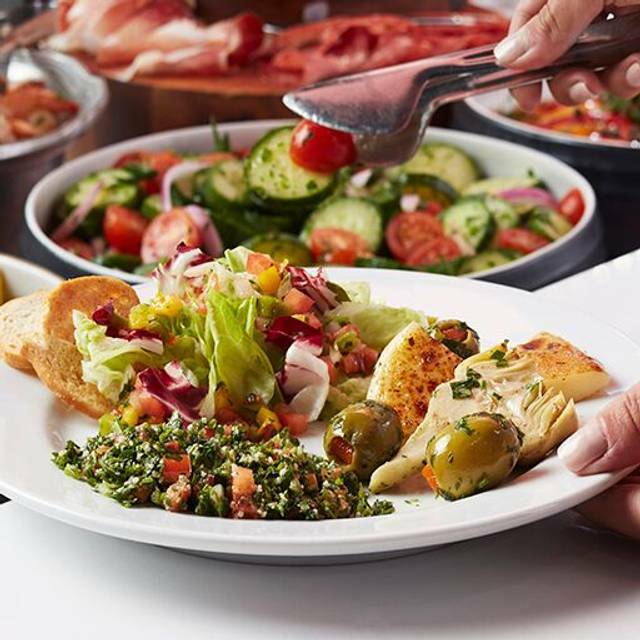 They have an excellent array of dishes to choose from in the salad area and the soups. All of the meats were outstanding as usual. I highly recommend this for anyone wanting a delicious meal for all ages. The food was superb. As was the service. So many choices its only your fault if you leave unsatisfied, or worse, still hungry. Our visit was great. Our waitress Stephanie was awesome. Service and food has been consistent every time we’ve been Austin was very attentive and such a personable waiter. Have been going here since they were at the Regency location. We usually go several times a year. I have to say that I am very disappointed. The last few visits seem to be getting less enjoyable. 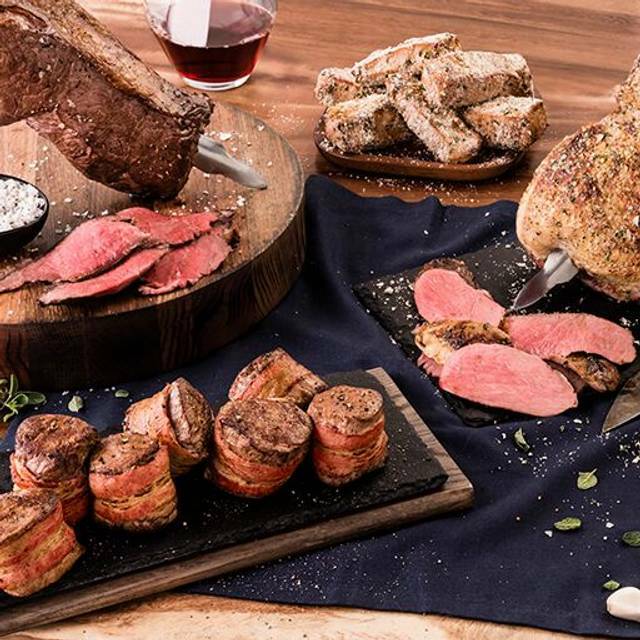 The meat seems tasteless and even the quality of the meat, especially the filet, appears to be a lower grade than it used to be. Unless its the way they are preparing it. Salad bar is still very good. Service is not and the availability to get the meats you desire is not frequent enough. We sat a few times with nothing on our plates. I had to ask the waitress if they could bring the shrimp around as we were almost done eating and hadn't seen it at all. We had to ask for the plantains. Also, they ask how you prefer your meat cooked. If you ask for anything other than how they cook it, you don't see it. A previous time, someone in our group asked for well done, they sat the whole time and didn't get anything well done until after everyone else was done eating. They only get the salad bar now everytime we go. Sad. EVERYTHING was ABSOLUTELY WONDERFUL; Manger= very very Professional and warm hearted. Waitress= Impeccable Service. Servers= First Class. The food was excellent. The meat servers were slow to get to our area at first, but as the night went on, it got much better. 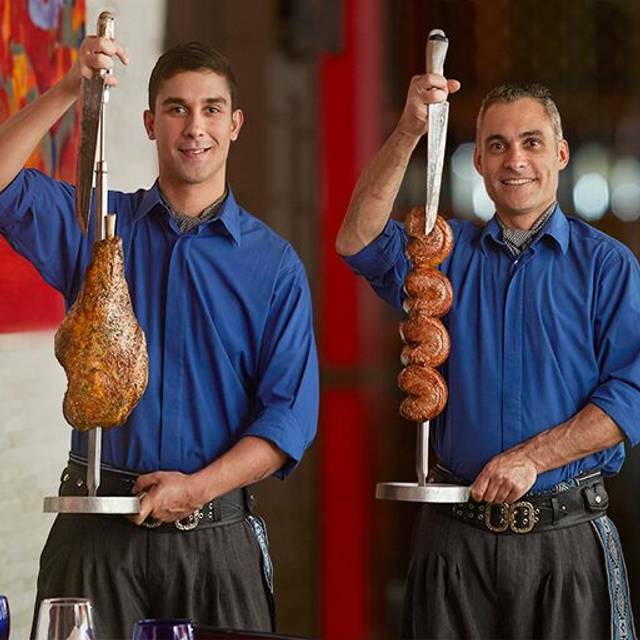 I frequently visit Texas de Brazil in Richmond. I love the fact that they keep adding new items to their list of items served. My only issue (which is small) is that when we have a reservation, we still have to wait 10 to 15 minutes to get seated. Even when nearly every table is empty as we enter at a early dining time at 4pm, there is still a 15 minute wait with reservation. I will continue to visit this location. Went for our anniversary and had a great dinner. The server, Carlos, was wonderful and had spot-on recommendations for wine and beer. The food is always good and is a very busy place but we never felt unattended. We could still have private conversations even with a bit of general noise and other tables nearby. Good and wine was solid but pricey. Service was terrific and the food was hot. Only way to get a good value is by bringing big eaters, otherwise you're paying slot for dinner. This was my second visit to the Texas de Brazil in Richmond, VA. The restaurant is nice but the staff is rude. My party of two was stuffed all the way in the back, far from the salad bar. Our waitress never cracked a smile and seemed annoyed with any requests made. The gentleman who seated us could not remember our drink order. I’d recommend to the restaurant to have the waiter/waitress take the order, not the seater. I enjoyed the salad bar (we chose to go meatless) but for $30 I’d expect more of a selection. Not overly impressed and will likely avoid visiting again. My husband and I celebrated our 12th wedding anniversary there again. Overall, the food was fantastic. Our waitress was excellant. Our only issue was that we were placed in the far corner. Our card was on green however, very few waiters with food came to our area. We had to ask for everything. Oir poor waitress had to go multiple times to the meat area and request service. It seemed as though if you are in the corner, you get overlooked. The food was great and I will go back again, however, we will request that we no longer get placed near corners. The food is “Ok”.......but not really worth the cost you pay. Our server was very good....Omar was his name. My biggest point of contention is that we were seated in a corner as far away from the food bar as you can get. 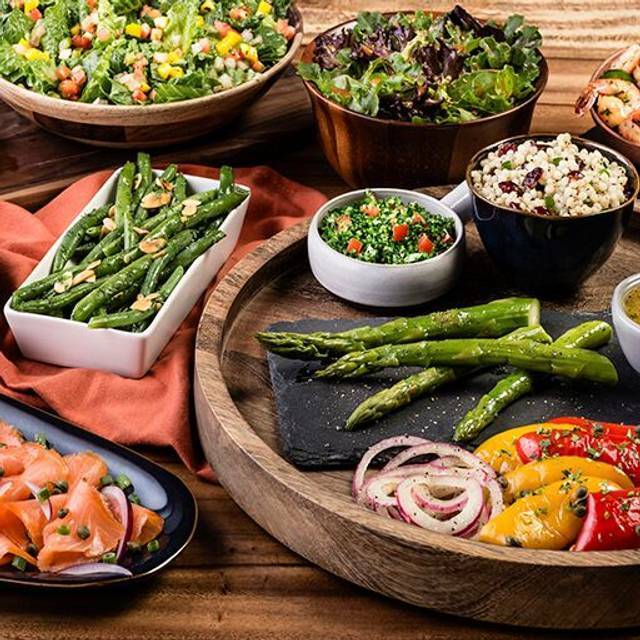 This manifests itself in the multiple servers who deliver meat, which is being prepared near the food (salad) bar, rarely visiting our table. They get a skewer of meat prepared and leave the area to deliver to tables......but they always start at the center tables and work themselves out from that circle. Consequently, those of us on the wall and in the corners rarely see them......and when we do it tends to be the meats no one else is wanting. So we actually had to ASK our server to ensure some of the other meats came out to the “outer ring” of the restaurant. Then they came in force. Unfortunately, by then, we had effectively finished our meal. Kind of a disappointing experience. We went for our one year anniversary. It was good but they didn’t give us a dessert or anything even though i had seen pictures online of desserts they had given for anniversaries. We came to celebrate 2 birthdays. It was my parents first time visiting. They were very happy. All the meat was cooked wonderfully. They weren't nearly as overcooked as the Brazilian Steakhouse in Myrtle Beach, Rioz. However, Rioz is about $15. less per person with pretty much the same assortment of items. Either way, due to the price, it's definitely not a place to come unless we're celebrating something special. But if you have the money, I say it's definitely worth it. We will be back again for another special occasion. The lighting was to dim and we arrived 30 minutes after the restaurant opened and some of the meats were not ready to be served. Went for lunch to celebrate my sons 17th birthday! Good time with good good!! 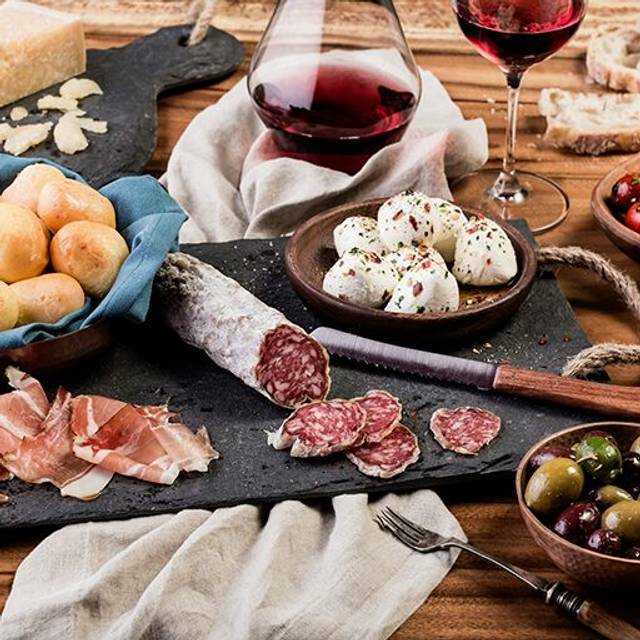 Great for carnivors! You need to come hungry. Service was great! I love Texas de Brazil. 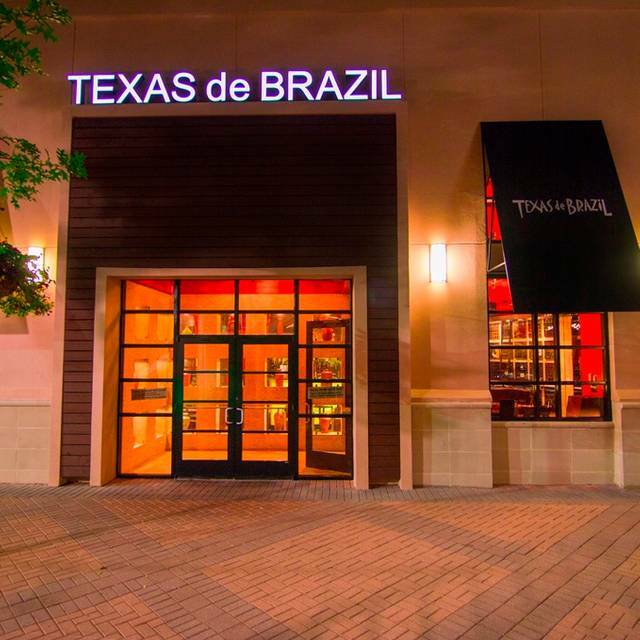 It is my daughter's favorite restaurant she is 20 and every year since she's been 14 years old but every event in her life she's wanted to celebrate at Texas de Brazil even wanting to bring friends with her. 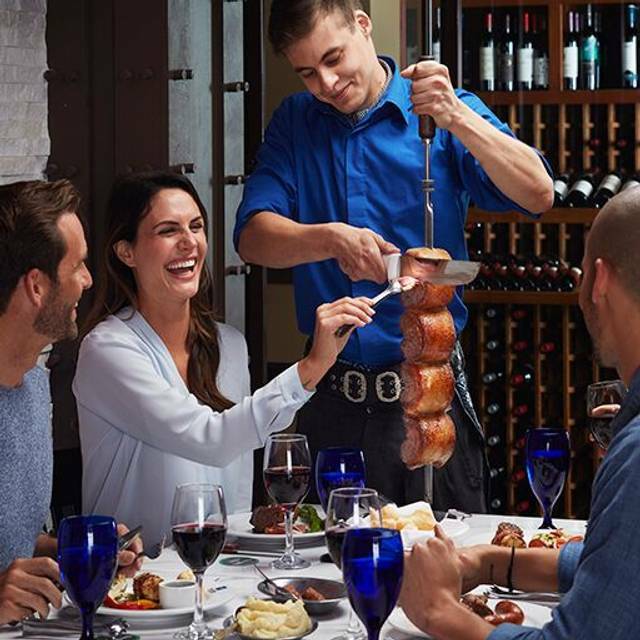 On this visit I bought three first-timers to Texas de Brazil and each one of them loved it and said that they would come back again even from as far away as Newport News Virginia to Richmond Virginia. From the greeter to the servers, everyone is very professional and customer friendly. I love this place and I love bringing new customers to experience the food and hospitality. I also love how the manager makes rounds to see how customers are doing and how their service is going. It was just amazing. It always is. We took our mother for her 80th birthday. The food was excellent but a little salty, which we were warned about. Carlos our waiter was very attentive and made sure to keep our glasses and plates filled. He also went to the grill when we requested certain meats. We had a wonderful time and I can’t wait to return with just my husband for a date night. This is our family's favorite place to go! This past Sunday we were able to get our 2 daughters to have off so they could come and celebrate their birthdays at our favorite place. 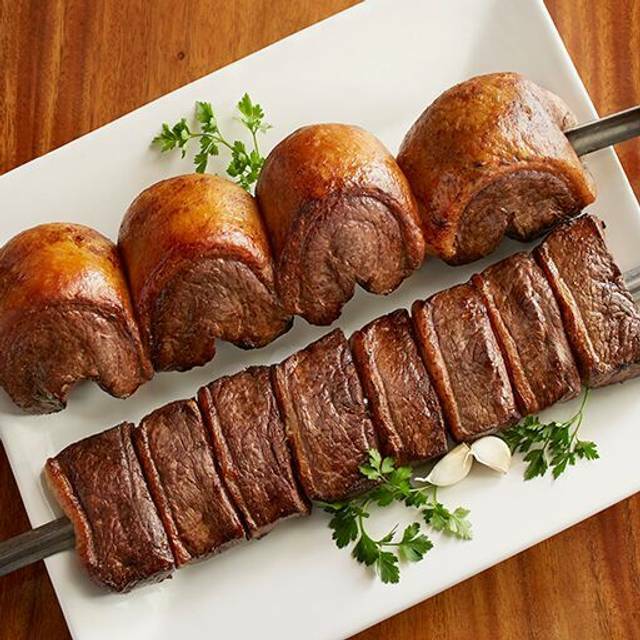 No other place compares to Texas de Brazil. My husband use to travel out of country and went to Brazil. This was where he first had a meal served this way and he was so crazy about the way they served you, he was amazed! He is a meat & potato man, Very Picky eater. And when he found that we had Texas de Brazil restaurants in US. he was so happy and couldn't wait to take us there. We have been customers for a while and will continue to be very loyal ones. The place is perfect!!!!! It's always a pleasure to come to Texas de Brazil. The people are always so sweet and acomidating. Food and service were impeccable. The restaurant was slightly noisy but a conversation was still possible. Glad to have gone back after a long absence. Wait staff was excellent and the food was terrific. There was a lot of noise when we first arrived but that also reduced after a couple of tables were vacated. Looking forward to returning although the trip to Richmond is a 90 minute drive. Still well worth the drive. It was a great place for a birthday gathering. Party of 6 with 2 kids and everyone had a great meal and we were able to talk and enjoy each other’s company. We especially appreciate the attention to our preference for meat doneness. We had a variety from rare to well done and the staff got it right each time they offered us selections! The service was amazing. The quality of the meat was poor. I ask for mid rare and just about everything was overcooked. The ribs had a sawdust consistancy. The steaks were chewy like bubble gum and the chicken and pork were extremely dry. The only saving grace was the bacon on the salad bar and our wonderful waitress. I have been to this location several times and have never had poor service until this visit. Our server was not attentive in any way. We ordered a bottle of wine with our dinner and I had to tell her 3 times what I ordered because she wasn't sure what it was. I could have easily pointed to it on the menu if she had brought it back to me instead of yelling through the restaurant to see if anyone else knew what I was talking about. I am sure we will go back again as we do love the food and the experience. I will, however, make sure that I am not seated with that server again.